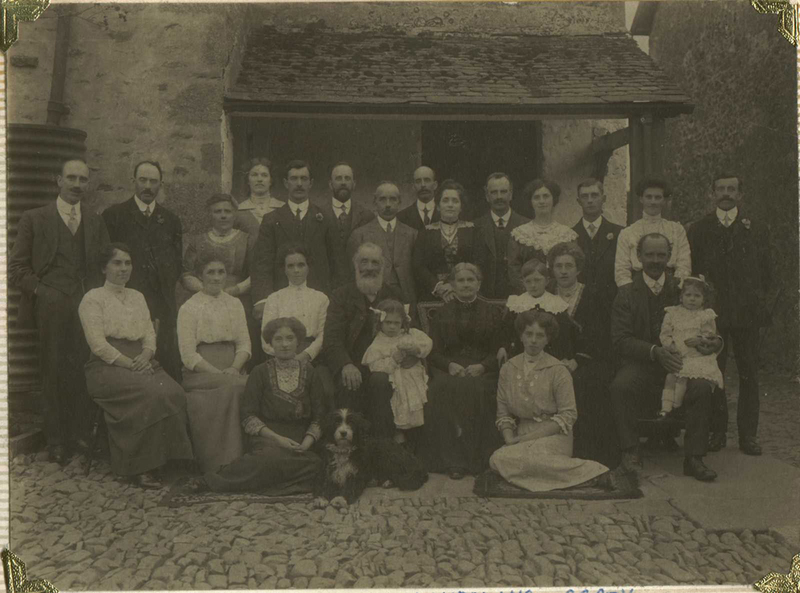 In 1914 most of the family of Henry and Abigail Robinson gathered at Strickley to celebrate their Golden Wedding. Thomas James Robinson, John William Hartley, Nancy (nee Johnson), Frances (nee Robinson), William Robinson, William Wilson Robinson, John Henry Wilson Robinson, Timothy Wilson Robinson, Amy (nee Pearson), George Goland Robinson, Edith Alice (nee Pearson), William Leonard Brown, Kate Alice (nee Fletcher), Arthur Robert Robinson. This is a simplified tree of the first generation of Robinsons to farm at Strickley. The descendants are now spread worldwide, but with a strong core still living and/or farming locally. If you click on one of the names, it will open up a pdf file with the descendants of that branch. A word of caution - with so many names the files cover more that one page, so use the arrows at the bottom to move along. To see the full tree at once, click here. And a word of apology - this information is mainly as supplied to us at Strickley when Arthur & Jean compiled the Family History ("The Green Book"), and I know that it's not up to date. There have been many births, marriages and sadly divorces and deaths since then, so please let me know of any inaccuracies. I have recently uploaded the whole of our family tree (my side as well as Henry's) to Tribal Pages. It's still a bit of an experiment for me, so expect the way it is displayed to change now and then. It can be see by clicking on this link - View Tree.